Oral Flea and Tick Chewable: Simparica, a once a month chewable, with quick kill on fleas and ticks and gets all 5 species of ticks. 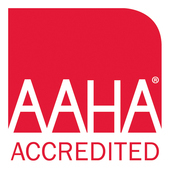 WillowGrove Pet Clinic is a full-service AAHA-accredited veterinary clinic for dogs and cats located in Willowbrook, IL. We are committed to promoting responsible pet ownership, preventative health care and health-related educational opportunities for our clients. WillowGrove Pet Clinic was founded in 1987 and has been owned by Dr. Bishop and Dr. LoPiccolo since 2004. As the first clinic in Willowbrook, the WillowGrove Pet Clinic has been providing full-service small animal veterinary care for 30 years. Noises, Thunderstorms & Fireworks, Oh My! Sileo is an oromucosal gel that is the first and only FDA approved treatment for canine noise aversion. This easy to administer medication helps your pet deal with noise without total sedation or feeling groggy. We have many patients having success with Sileo. Feliway and Adaptil are specially formulated products that contain pheromones that help both cats and dogs relieve stress related situations and behaviors. They can come in diffusers, sprays, wipes, and collars to help pets with stress . Solliquin is a natural behavioral health supplement made by Nutramax that is given daily to both dogs and cats. It contains amino acids and other natural ingredients to help calm pets while again, not sedating or making them feel groggy. This supplement may take 4 weeks to take full effect.